The AC team brings you 10 facts about the Anunnaki. 1. In many depictions of the Anunnaki, we can see strange objects worn by “those who came from the stars”, one of the most interesting examples are “wristwatches” which appear in almost every single depiction of the Anunnaki. 2. The Sumerians were the first people who started building actual cities, organised using actual city grids like we see in modern day cities around the world, according to the Ancient Alien theory, the Anunnaki transferred this knowledge to ancient man. 4. In 1976 author Sitchin published his personal translations of the Sumerian texts in a series of books called “The Earth Chronicles“. According to Sitchin the clay tablets describe an alien race known as the Anunnaki who came to Earth to mine gold. 5. Gold reflects infrared light. Infrared is basically light you don’t see it, but we interact with it in the form of heat, the radiation interacts with our molecules and that makes them vibrate faster and you’ll feel that as heat, gold also makes a good heat shield, partly because it’s so malleable. You can make gold very thin; it’s easy to work with; and it has great properties for reflecting and heat protection making it a “must have” resource not only for us but potentially for extraterrestrial visitors as Sitchin suggests. 7. 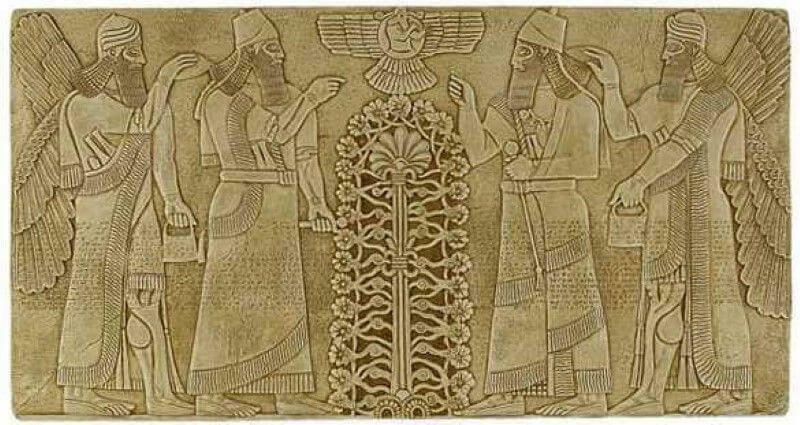 According to the Ancient Alien theory, the Anunnaki genetically altered primitive mankind and created a labor force which allowed them to mine gold faster. 10. Zulu legends speak of a time when “visitors from the stars” came to excavate gold and other natural resources. These mines were worked by slaves created by the “First People“.